Chiree Fields remembers vividly the inauspicious launch of Americot. As the longest tenured employee of the company, she has seen it all unfold. That timing was not exactly ideal for an upstart regional seed company. With most of the nation’s cotton acres tied to long-standing brands with successful high yielding varieties, solid financial backing and extensive breeding, research and sales structures, the key for a company like Americot was to find the niches where a smaller company could thrive – and to keep an eye open for opportunities to grow. The first opportunity came quickly. During a cotton seed industry restructuring in 2007, Americot surprised the industry by acquiring the NexGen brand, germplasm and breeding programs from Monsanto. That was soon followed by access to new weed control technologies. 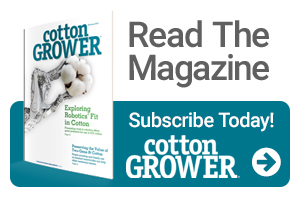 The company certainly caught the industry’s attention when, in 2016, NG 3406 B2XF was noted as the top upland cotton variety planted in the U.S., as determined by the USDA Agricultural Marketing Service’s Cotton Varieties Planted report. The variety commanded nearly 12% of upland acres, with strong showings in the Southwest and Mid-South, and also remained a close second in the 2017 standings. Roughly 60 miles separate the cotton fields of Duwane Billings in Seagraves, TX and Len Stanley in Levelland, TX. 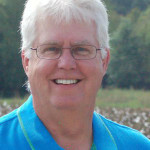 Both are long-time, successful growers who have seen cotton varieties and seed companies come and go over the decades. Both were familiar with NexGen varieties and were willing to take a closer look. Billings, however, admits to some initial skepticism. In 2017, Billings’ crop was the largest he’s ever grown, with several fields that produced more than four bales of cotton. He’s also now working closely with Americot on a water efficiency study. Stanley has also been impressed. After blight stunted his cotton in 2017, Stanley added NG 4689 B2XF, which has better disease resistance, to his fields this year. So far, he likes what he’s seen. With a portfolio of successful varieties and expanding demand from growers, Fields says it was time to evaluate the entire company and its long-term goals to help maintain momentum. Much of the heavy lifting in variety development has been done in recent years by Dr. Tom Brooks, who came to Americot around the same time as the NexGen acquisition in 2007. He worked as a part-time breeder with Dr. David Bush until Bush’s retirement in 2013, then served as a one-man breeding program based in Seminole, TX, while also managing regional nursery programs in the Southeast and Mid-South. The company expanded its breeding program with the addition of industry veteran Dr. Lloyd McCall in June 2017, and recently added Dr. Mike Robinson and Mark Barfield as breeders based in Greenville, MS, and South Georgia, respectively. Brooks notes that, for now, all breeding work originates at the Seminole site, where they can manage nursery rows, variety evaluation, seed increases and small plot yield trials. To help bridge the gap between breeding and the sales force, Dr. Doug Jost joined Americot in April 2017 to help develop and build a field research program, working to test and evaluate new prospective varieties on a regional basis. Jost heads a program that has grown rapidly within the past year. Field researchers have been added in the Texas Coastal Plains, Northern High Plains, Arizona and the Mid-South, with additions also planned for the Carolinas and Georgia. And, also during the past year, the company expanded its sales force to 68 representatives from the East Coast to West Texas, and upgraded its product management and marketing efforts.